Luxor stands on the site of ancient Thebes, Egypt’s opulent New Kingdom capital. It encompasses the spectacular temples of Luxor and Karnak on the east bank of the Nile, and on the west bank the vast necropolis, which includes the Colossi of Memnon, the famed Ramesseum, Queen Hatshepsut’s magnificent funerary temple, and the Valley of the Kings, riddled with royal tombs, among them the fabled resting place of Tutankhamun. The splendor and profusion of pharaonic monuments at Luxor justifies its reputation as the greatest outdoor museum in the world. 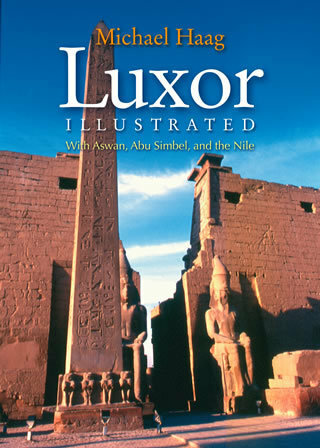 Reaching beyond Luxor, this book also covers all the major sites of Upper Egypt, including Abydos, Dendera, Esna, Edfu, and Kom Ombo. Special attention is given to Aswan, one of the most beautiful places in Egypt, with its nearby island temple of Isis at Philae. The climax of this informed and richly illustrated book comes with the remarkable temples at Abu Simbel, with their colossal figures of Ramesses II and his lovely wife Nefertari cut from the living rock.